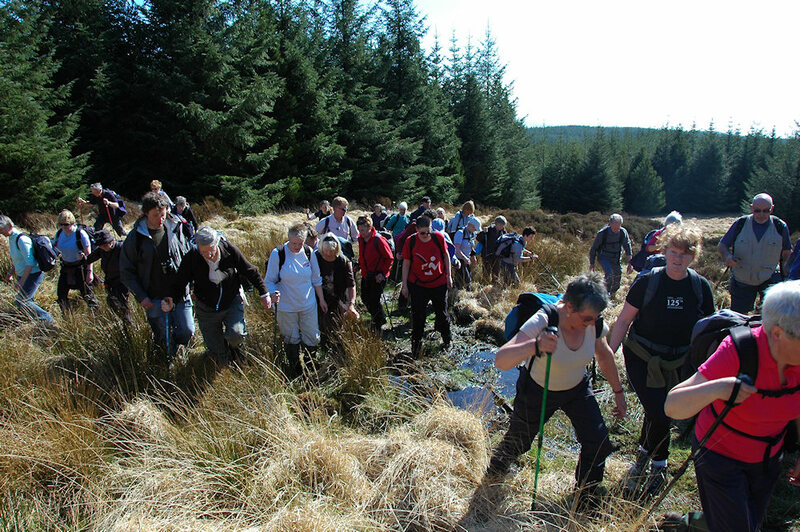 Walking on Islay sometimes has its challenges, crossing a boggy area without sinking in among them. Here a group of walkers is making its way through a very boggy stretch in the woods at Staoisha. This entry was posted in Landscape, Repost, Sunny Weather and tagged Islay, Staoisha by Armin Grewe. Bookmark the permalink.